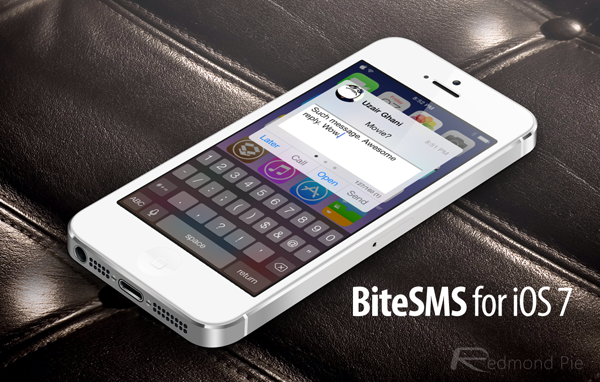 BiteSMS Final Version For iOS 7 Released, Get It While It’s Hot! 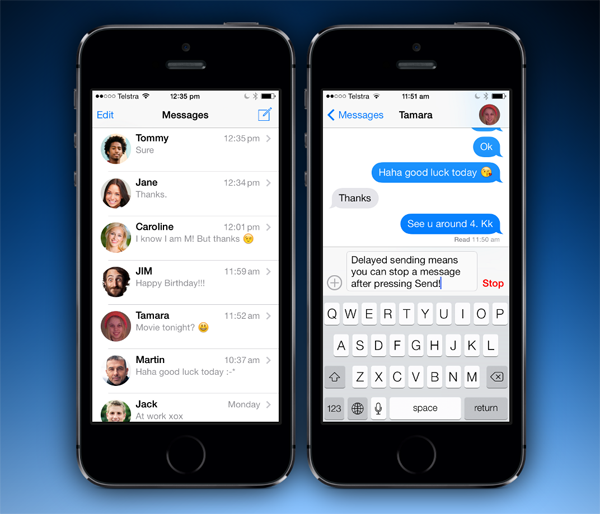 BiteSMS, the popular jailbreak app that displaces the stock iOS Messages with its much-celebrated, feature-rich take on messaging functionality, has finally shaken off the beta label, and the public release of BiteSMS 8 is upon us. It wouldn’t be outlandish of me to state that BiteSMS is, most probably, the best tweak available for jailbroken iPhones, and after a mammoth nine months of work from the BiteSMS team, the final, end-user edition of BiteSMS 8.0 has just been made available over at the BigBoss repo. It caters to those on iOS 5, iOS 6 and the latest and greatest iOS 7, and if you’re jailbroken but have yet to utilize the powerful tool set offered by BiteSMS, then you really ought to try it out. And by ought to, I mean stop what you’re doing, fire up Cydia, and download BiteSMS for iOS 7! Having used BiteSMS through generations, the range of features has improved exponentially, and with some lingering bugs and compatibility issues having apparently been resolved, we finally have ourselves a stable, complete BiteSMS experience on iOS 7. 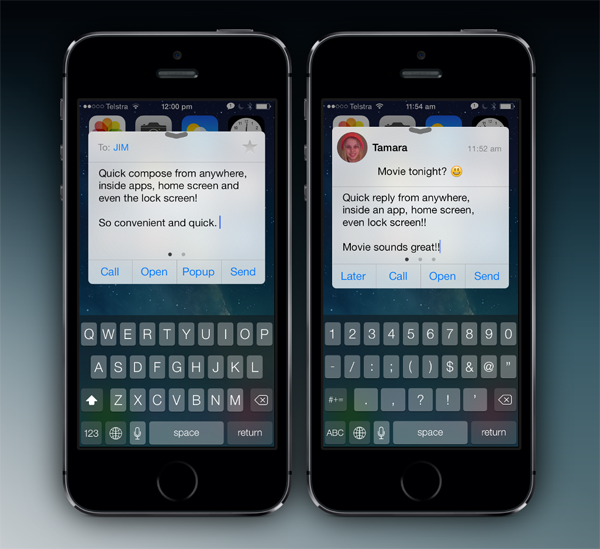 Unlike most other message-centric tweaks, BiteSMS is virtually the full package, bringing quick-reply, quick-compose, customizable themes, and a beautifully intuitive interface that also ties in perfectly with the nature of stock iOS. 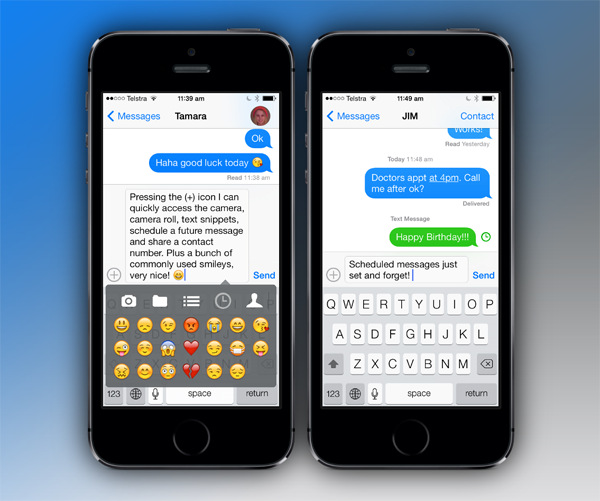 Scarcely a stone has been left unturned in the quest to make BiteSMS the most thorough messaging app for iOS, and along with the aforementioned, also offers everything from signatures, timed sending (ideal if you forget birthdays) and schedules, making this a dream acquisition for a frequent user of iOS Messages. The tweak is available over at the BigBoss repository and is free of charge, although, after a while you will begin to notice some banner ads. By supporting the app and purchasing a license, the ads are removed, and if you don’t buy another tweak this entire year, you owe it to yourself to have BiteSMS in your repertoire.